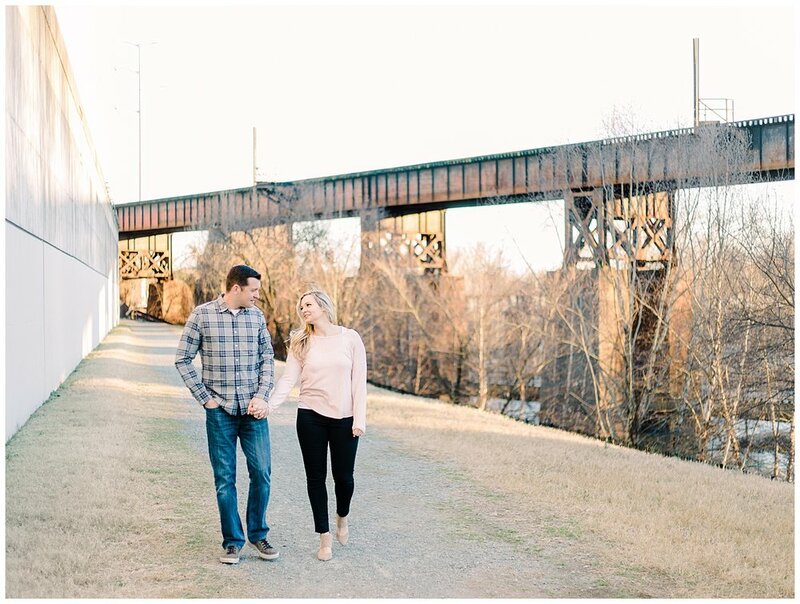 Valerie + Scott and her sweet son Caden met me in Shockoe Bottom by the Canal Walk for their chilly January engagement session. We eventually headed to the Pipeline Trail and a view overlooking Main Street Station, too! 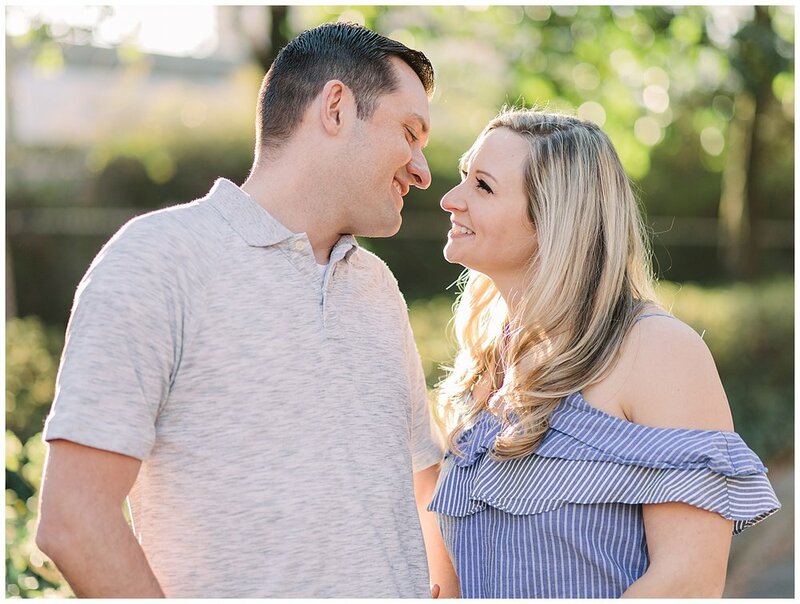 Valerie shared that she’d wanted a spring session, but she wanted to go ahead and take their photos now so she could use them for her Save the Dates. So I made it my mission to try to find a location that could possibly pass for spring! We found a spot with glowy greenery as a backdrop, and the two of them popped their coats off for a bit. I bet nobody could ever tell it wasn’t spring from looking at those sunny images at that location! 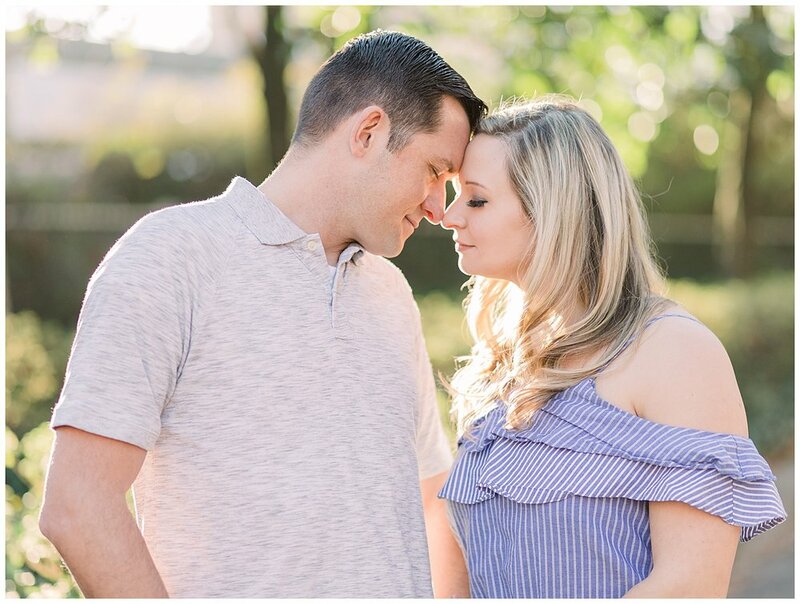 Valerie and Scott first met back in 2012 when they were working together on the flightline at Langley AFB. The two of them currently both still work together there as VA Air National Guard members! 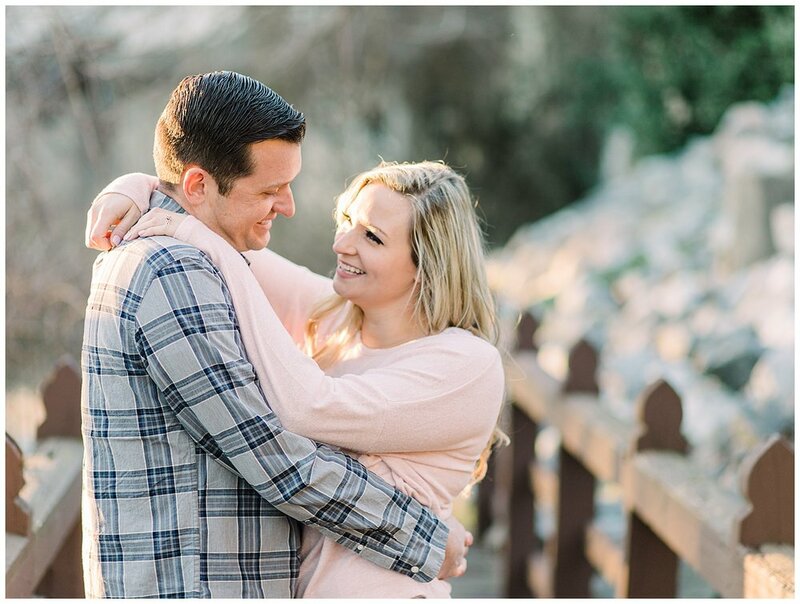 They started out as friends, and their relationship grew to the point that several years they realized it was meant to be! 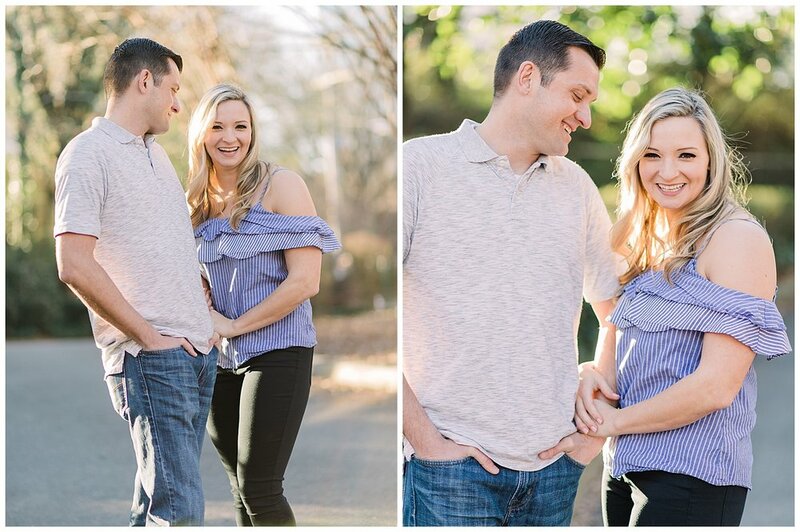 Here are a few of my favorite photos from Valerie + Scott’s engagement session at Shockoe Bottom!